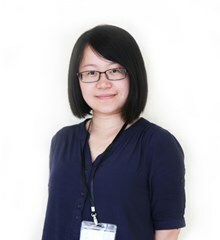 Heleen graduated from Zhejiang University City College in 2007 with a bachelor degree in English Education. Right after graduation, she worked as a secretary for both the educational office and international affairs office in the college for more than two years where she accumulated experiences on how to teach and get along with different people and then worked in a world leading English language training company after settling down with her family in Shanghai. Both experiences provided her with opportunities to work and communicate with people from different cultures and now she enjoys every minute of working here with all the lovely and helpful teachers and communicating with the polite and dedicated students. She is always glad to be your friend and help you and she is very proud of being a member of this team and she wants to grow up with this fantastic school. Heleen comes from Hangzhou, which is famous for its beautiful scenery of the West Lake and rich cultural heritage. Heleen has a wide range of interests, such as, watching films, traveling, reading books, visiting art galleries and discussing interesting theories with friends.